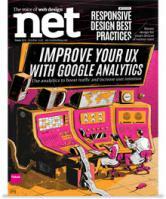 In the cover article for the October issue, I described some of the foundational approaches to using Google Analytics (and other analytics tools) to understand user behavior on website. This book is a practical introduction to web analytics for user experience professionals. It covers the basics of how web analytics tools work, how to use them, ways to learn about users, how they got to your site, and what they do on your site, and integrating web analytics with user experience practice. It draws on my experience of forming the Pure Visibility Measurement team, which combined UX and analytics. This article presents a set of best practices for analyzing card sorting data to derive an effective information architecture and navigation structure. It addresses methods of interpreting cluster analysis data matrixes and dendrograms generated by automated card sorting tools. And, it focuses on the details of making a decision about final categories and category labels. In short, it helps the UX professional make informed judgments when multiple interpretations of the data are possible. Web analytics is a quantitative data source that can help you plan usability tests and analyze test results. During planning, you can prioritize tasks by reviewing page view data on where users currently go on your site. Time on Page, Bounce Rate, and Exit Rate are high-level measures of how users interact with pages, and outliers signal pages that could be included in tasks to understand why users interact with those pages differently. Learning about what pages users land on when they reach your site can help you construct realistic tasks that reflect actual paths users take when navigating the site. You can find potential problem areas or behavior that you want to understand by looking at where users come from to reach a page and where they go afterwards. The business goals configured in your analytics tool provide insight into what user actions are valuable to the business, helping you align your tasks with business goals. After testing, you can verify findings with analytics data by seeing how well participants’ behavior corresponds with other users’ behavior, such as what pages they visit after leaving a particular page. Incorporating numbers from analytics into your report will help you make a stronger case for your findings.